We love a drink in the UK, but we’re not even in the top 10. What about Ireland? Or Australia? Nope and nope. It’s the Czech Republic, where the average person drinks almost 275 pints of beer a year. That’s around a pint every 32 hours and more than twice as much beer as the average Brit. One of the reasons for beer’s popularity in the Czech Republic is surely the presence of so many quality breweries, loads of which are household names across the world. One of these is Budweiser Budvar, which shares its name with the American pale lager. 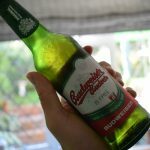 However, the two beers are completely different with the Czech version generally more highly regarded by serious drinkers than its mass-marketed US counterpart. Not that the Czech Budweiser – named after the city in which its brewed – is a small-batch beer. It’s available across the world, despite a trademark dispute with the American Budweiser that stretches back to 1907. 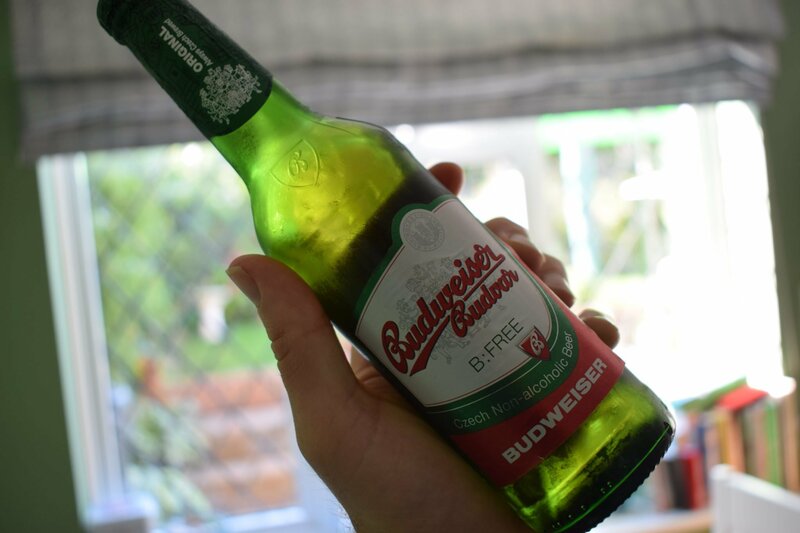 Like the original version of “B”, Budvar’s alcohol-free “B:Free” (0.5%) uses hops and malt grown sourced close to the brewery. Budvar also celebrates that it uses water from artesian wells, although this probably isn’t a selling point in modern times where any brewer will mimic the make up of any water it wants with a few chemicals. B:Free pours amber with a small head that quickly disappears giving it a flat and unappetising look. There’s definitely lots of fizz in there though, with tight bubbles and a viscous mouthfeel to rival a standard lager. Compared to many alcohol-free lagers, the aroma is impressive if slightly unorthodox with a bready, earthy, cereal-like smell from the malt which just about stays on the right side of being too worty. And while it’s not the aroma I was expecting, it’s interesting on the nostrils despite a little soapiness that creeps in at the end of each sniff. I didn’t detect any of the floral aromas you might expect with Saaz hops. The flavour lacks the clean taste you might expect from a Czech lager. Instead, it feels a little like drinking fresh wholemeal bread if you can imagine such a thing. There’s a bit of the classic lager maltiness in the aftertaste, which provides some sweetness. The bitterness balances nicely with the flavours, but takes over the tastebuds the more you drink. The smidgen of wortiness in the aroma also comes through in the flavour after a few sips. Although not as clean tasting as some alcohol-free lagers, B:Free’s flavour and aroma has enough complexity to make it an interesting drink. However, I found it a little too bitter. 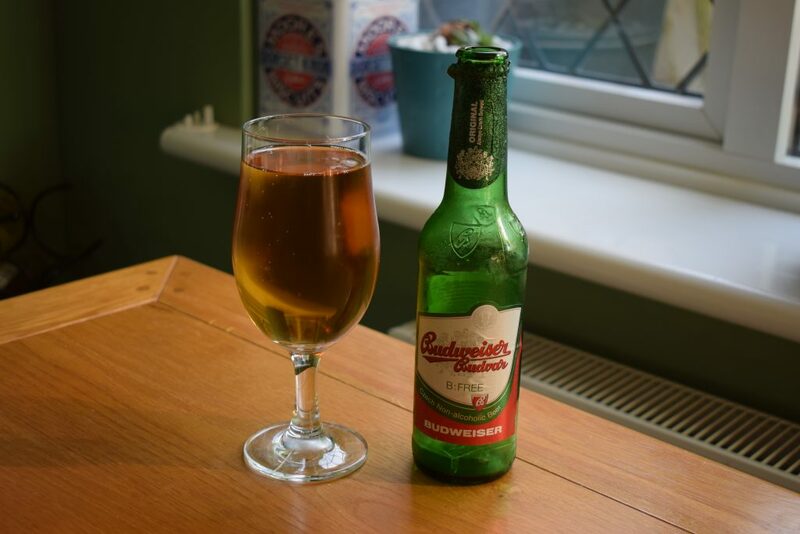 If you’re after an alcohol-free version of a Czech lager, this one might be worth a swerve. But it could be a goer if you’re after a beer to drink alongside your usual tipples.